A Bobbi Brown Best-Seller. Bobbi recommends this as the first step to prepare skin for the smoothest makeup application. Rich in feel, but never greasy, this advanced oil-free, face formula, with Shea Butter, instantly hydrates, softens, and cushions skin. Carrot Extract and Vitamin A Complex help minimize the look of fine lines and wrinkles. Vitamins C and E help protect against environmental damage. Grapefruit and Geranium fragrances leave a light, uplifting scent on skin. With daily use, skin looks and feels its best. Dermatologist-tested. I love the texture of this and how light it feels on the skin. I have oily skin and this works on me very nicely. It's definitely pricey but Its worth it. Love using this as a super hydrating base under foundation or on its own. This was a hyped up product, which I wanted to try for so long. It didn't dissapoint me, but it neither has thrilled me. It is a ok product (a bit pricier), I have normal to dry skin and this is great for the coldest days on winter. I wanted to try this for the longest time, when I did I was terribly disappointed. It seemed fine going on but I looked dead and lifeless after applying foundation, I tried three different foundations and they all looked bad. This base is just my new favorite thing. It smells great- like citrus. Makes my skin amazingly soft and not greasy. Helps speed up my make up application with powder base and helps limit need to reapply. This is an item I can see myself buying again and again. this product doubles as a moisturizer and primer in one! in love with this product. smells like fresh citrus, so invigorating when applied in the morning under my makeup. helps keep my makeup looking good all day. Good decent moisturizer. hydrates a lot. Gel texture not creamy sticky. Smells good too! just nice for daily use. This primer is the best! Love how it blurs. Foundation applies smooth over the top. This moisturizer is enriched with vitamins and makes my makeup go on smooth. I honestly love this. I rarely go out and try new moisturizers but so many people were telling me to give it a try. I feel like it helps control the oils in my t zone while hydrating the rest of my face. My foundation and skin days have been better since I have been using this! It work very well for my oil-skin , great texture and smell yet work very well under primer . And the packaging is beautiful , too . My daily face base before my makeup. Does not make my face looks oily the whole day even with makeup. Lightweight and good quality! Okay the price tag is ridiculous and definitely makes this buy an investment but I have had mine for a little over a year and im not even half way done with it. I only use it on my tzone and i almost never break out because of it! My face feels soooo smooth with it on. I am so so oily and it really helps and i believe it has helped with my pores. I reccomend but I would say pick up a sample first. Everyones skin is different. My mom had it (which is also oily) and she hated it! To each his own! 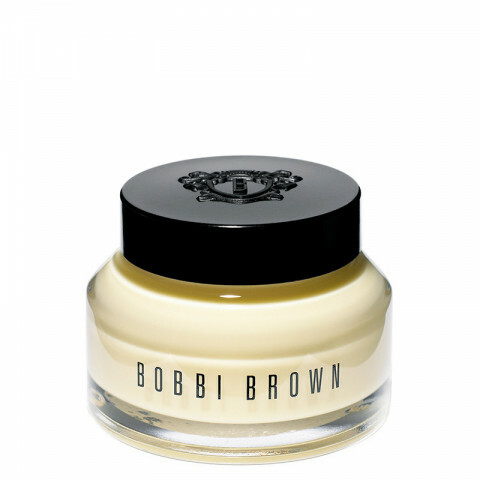 i really love this moisturizer from bobbi brown. i use it when i am feeling especially dry and my skin needs a little pick me up. smells like fresh oranges! great packaging, beautiful bottle. feels really great on my dry and sensitive skin. makes for a great primer to use before foundation or bb cream. a definite staple in my beauty routine!